The Kia K900 has not been the most successful luxury sedan in terms of sales. So Kia tapped NBA superstar LeBron James to give the car some much needed exposure. 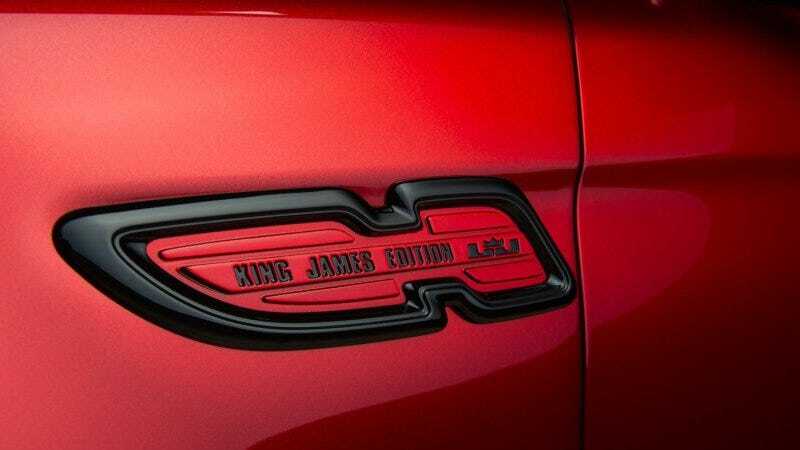 According to a teaser picture from LeBron's Facebook page, it looks like King James is getting his own special edition K900. Autoblog reports that Kia is going "Biblical" with this K900. The car appears to sport a special red and black paint scheme will probably outfitted with some unique interior touches. We should see the full reveal at the NBA All-Star-Game this weekend. While the LeBron's endorsement has convinced one loyal fan to maybe consider the K900, it will probably take a miracle for Kia to be taken seriously as a luxury car maker.